With the DX6000 model, Epson has brought an excellent quality all-in-one that comes as a real treat for photographers and those who love printing photos. The printer allows you to make quick copies, scan, save and print texts and photos without having to connect to PC. The machine proves to be a winner in terms of the outstanding photo quality, it offers – even the minutest detail in your photograph will stand out. Plus, a large LCD screen, memory card slot, and PictBridge port add to the complete solution of printing photos easily and directly without PC. Also, the Epson Stylus DX6000 ink cartridges configuration with individual installation compartments make it easier to replace only the colour cartridge you use the most. The print speed, both for documents as well as photos is disappointingly slow. It lacks a fax function and ADF. What are the Cartridge Requirements for Epson Stylus DX6000 Printer? T0715 ink cartridges are also compatible with other printer models like Epson Stylus SX210, Epson Stylus DX7400, Epson Stylus Office BX300F printers. A Few of them can be found here. Epson Stylus DX6000 has a complete solution for printing, copying, and scanning for small office and home users with a useful package of features. The only disadvantage that comes as a disappointment for long-run prints is the printing speed. If that is not a concern, the product is definitely worth buying. How can I check the status of the ink remaining in the cartridges? Use the left or right arrow keys to check the amount of ink level. Press on the start tab to continue the process. You will observe a graphic showing the ink cartridge status. Once you are done checking the amount of ink left in the Epson Stylus DX6000 ink cartridges, press the start button to continue. Press on the Setup/Utilities button to return to the previous mode. 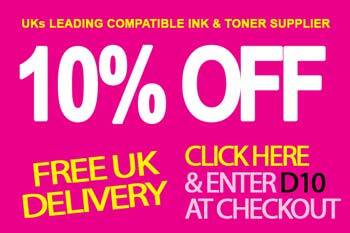 When the amount of ink remaining in the cartridge is low, make sure you have replacement cartridges available. Check now and enjoy the best deals while buying Epson Stylus DX6000 ink cartridges from our site. How can I conserve black ink when the Epson Stylus DX6000 ink cartridge is low? If the pop-up message appears that the black ink is low, and there is more of the colour ink left than the black ink. You can extend the black ink cartridge life by printing with the mixture of other colours to create black. Click yes button to use a mixture of colours to create black ink. You will see same window when you print a similar job next time. Click on no button to continue printing with the remaining black ink for the job you are printing. You will see the same window next time when you print a similar job, and again have the option to conserve black ink. Click on the disable this feature to continue printing with the remaining black ink. You will not see this window again until you replace the black Epson Stylus DX6000 ink cartridge. Q. 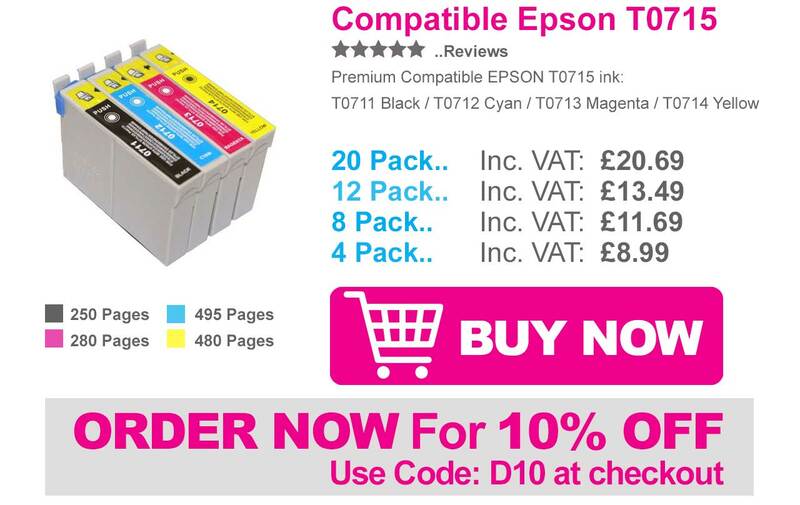 Can you name the printers which are compatible with the T0715 ink cartridges. A. T0715 ink cartridges are also compatible with Epson Stylus C & CX series printers & Epson Stylus D & DX series printers. Q. I purchased Epson Stylus DX6000 ink cartridges for my printer. I am not happy with the print result. Can I return my ink cartridges? A. Yes, you can return the ink cartridges before 30 days of purchase. Make sure you have your invoice details available with you. We will transfer the amount to your account, once the item is received and tested. Read our return policy for further information. Q. What is the printing capacity of this printer? A. You can print 27 pages per minutes. Q. Due to some reason I have to reinstall my Epson Stylus DX6000 ink cartridges. I just noticed that my ink level is reduced. Why did this happen? A. Ink is always consumed during cartridges installation or during printhead cleaning. Therefore, it is recommended not to perform the printhead cleaning task if it is not needed. Q. I want a printer, which can print high-quality photograph for my studio. Is this printer a good choice for quality printing? A. This printer has the printing resolution of 5,760 x 1,440 DPI, which is quite good for high quality, long-lasting, smudge-free printouts. Q. I have not printed anything in the last nine months. Do I have to replace the Epson Stylus DX6000 ink cartridges? A. The shelf life of ink cartridges is 6 months. It is recommended to change the Epson Stylus DX6000 ink cartridges after that. If not done, then you will get low-quality printouts. Q. What is the difference between genuine and compatible ink cartridges? Can I use the compatible ink cartridges instead of genuine ones? A. Compatible ink cartridges are manufactured from the third party by reusing the expended ink cartridges. Whereas, genuine ink cartridges are manufactured by the company itself with the new ink cartridges. 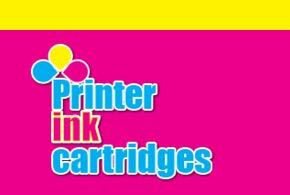 You can definitely choose compatible cartridges for your printer as they are cost-effective and yields better results. Q. I need black Epson Stylus Dx6000 ink cartridges. Are individual packs available? A. Yes, we do provide ink cartridges of all colours. Depending on your need you can order the multipack or individual ink cartridge. Q. My Cyan colour ink cartridges expended. Will the compatible ink cartridges affect the print quality? A. No, using compatible ink cartridges will not affect the print quality. Make sure you store the cartridges safely for better prints. Q. A few days ago, I had installed Epson Stylus Dx6000 ink cartridges. At that time, the print quality was good. But, now the printouts are slightly slanted. Is it due to the compatible cartridges? A. No, it is not because of compatible cartridges. It can be due to the default economy mode. Change the mode from a fast economy to economy mode in the advanced printer setting. Also, make sure that you have aligned the paper with the printhead. Q. Can I use Apple AirPrint With this printer? A. The Apple AirPrint feature is not applicable to this printer, because it does not have networking capabilities. Q. I had ordered multipack of 4 Epson Stylus Dx6000 ink cartridges. But the cartridges are damaged. To whom should I contact now? A. Sorry, for the trouble. You can call us on 028 308 33221 or email us at info@printerinkcartridges.ie. Provide us with your invoice details. We will replace your order soon. Q. I performed the printhead cleaning task. As the printouts quality were not up to the mark. I observed that the ink cartridges level reduced. Had I made the correct observation? A. Yes, you made the correct observation. Some amount of ink consumed during cleaning printhead or during installation of cartridges. Therefore, it is recommended to perform the cleaning task, when it is required.